Following the latest ongoing plans to construct a high speed rail link (HS2) between London, Birmingham, the North West of England and Yorkshire, it has recently come to light that the construction of the HS2 could pose a further flooding threat to the country. This issue had been raised by two tory MPs because they fear that this project could encourage flooding of different severities along the subjected route. The current minister of Europe, David Lidington, stated that if the project was to go ahead it would involve building upon farmland. This land presently acts as a defence against flooding that could potentially occur and a former cabinet minister, Cheryl Gillan also stated that it was ‘totally unsatisfactory” that a flood risk had not already been carried out. The HS2 has increased fear upon local residents that it could potentially endanger their homes and neighbourhoods due to the increased flood risk it brings once built. 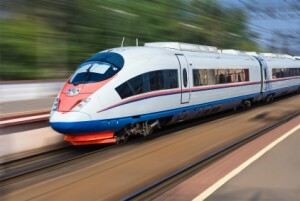 On the other hand, HS2 Ltd has said that they would continue to carry out further inspections along the proposed route. The high speed rail link is said to have been designed so that it can withstand any treacherous weather, a good example being the recent storms that the country has experienced in recent weeks. Mindful of these catastrophes sweeping across the country, it seems that this element was overlooked and the officials behind the HS2 did not directly address any concerns about flooding with the houses that would be adjacent to the proposed rail link. The MP for Buckinghamshire and Aylesbury, Mr Lidington later said; “You will not be surprised to hear the residents are very fearful that the construction and operation of HS2 across the floodplain close to their homes will add significantly to the flood risk”. To contribute towards this quote it was later explained that it is unquestionable as to whether both construction and operation will be of a great disturbance during the assembly of the project. The surrounding farmland that is currently acting as a flood defence and soaking up any rain water will be built upon providing it is situated in the radius of the HS2 plans. Speaking in general about the HS2, Chancellor George Osborne issued a statement that planners of the HS2 route should perhaps contemplate a re-development of the London Euston station as opposed to the plans of demolishing and rebuilding it. Perhaps the HS2 planners should contemplate the route of the HS2 after the devastating flooding that has taken place across the country? Do you think the HS2 poses a further flood risk to the country?